I randomly decided to follow a sketch this morning. I have only done that once or twice before, I think, but I saw it and thought why not. It is the sketch for the Wednesday Sketch Challenge at MFT Card Challenge. I figured I then might as well use their stamps and enter in the challenge, so I decided on the Magical Dragons and my favourite colour. 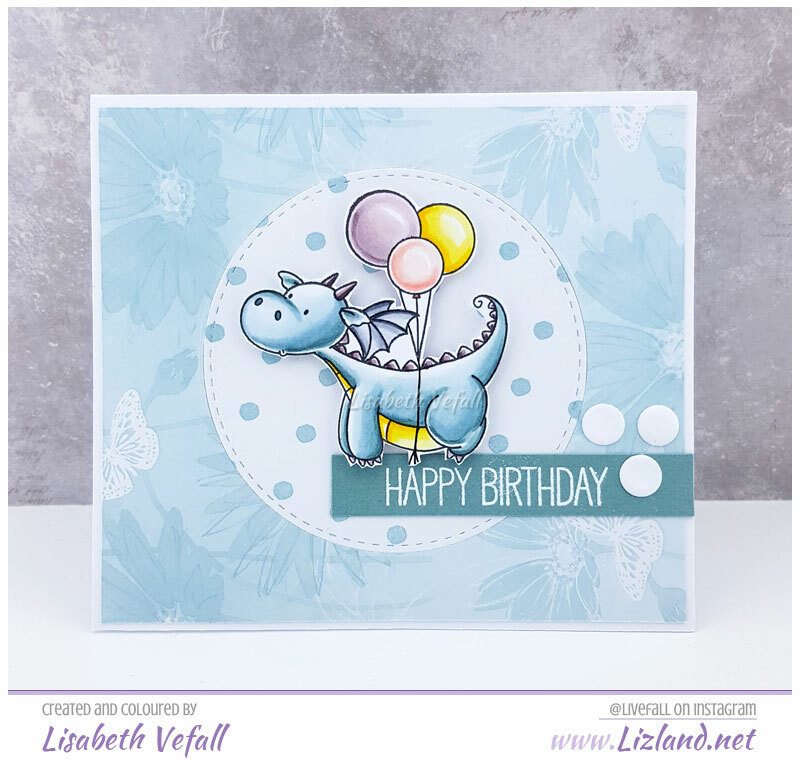 The dragon stamp was combined with balloons from the Happy Hippos set and the sentiment from the Adorable Elephants set. The paper is from Papermania, the circular die from La-La Land Crafts and some candi. So very cute. Such a lovely card.